Ring Size: How do I figure out my ring size? Trying to figure out your ring size? The simple thing to do is to ask a jeweler (or 3 for total accuracy) to measure you with a mandrel, more commonly known as a sizing ring, or just print out this handy dandy ring sizer. Figuring out your ring size doesn’t have to be complicated, but there are a lot of factors to keep in mind when taking measurements. Resizing a ring is totally normal. It happens all the time, just make sure it doesn’t happen more than 2-3 times since that could compromise the metal. Adding sizing beads is yet another option if your ring size changes overtime. If an eternity band is your thing (the one where diamonds go all the way around the band) you should really try to get it right the first time since there’s not much wiggle room for a resize. If you’re trying to figure out your girlfriend’s ring size, there’s a few tricks to try but the best thing to do is talk to someone close: a sister, Mom, a friend. Even if they don’t know, they have ways of finding out that aren’t as obvious as you simply asking her. If that’s not possible, ask a friend with a similar frame size, or grab your gf’s ring while she’s not looking (the one she wears on her left hand ring finger). If all else fails, remember this: It’s better to size up than down. You don’t want that special moment to turn into that awkward moment where you can’t slide the finger down past her knuckle. Ring size has nothing to do with carat size. If your finger is small, that doesn’t mean you should get a small stone. 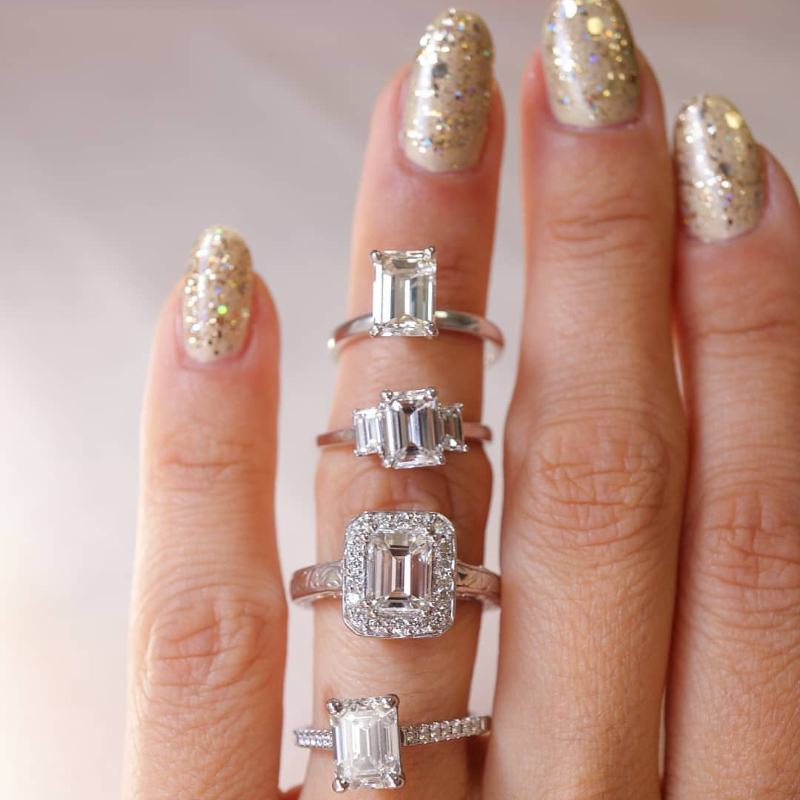 If your finger is larger, a small stone can look just as good. It’s all about what you want to see when you look down at your hand.